WillMaxx Distributors is acquiring wholesale vendors and resellers for this novel back pain relief product. Research has demonstrated that the BackCycler®, a continuously inflating and deflating lumbar support system; may reduce low back discomfort, help heal spinal disks and alleviate stiffness and fatigue while driving or sitting. The system works by cyclically moving the lumbar spine into a position of increased curvature and back to a position of lesser curvature. 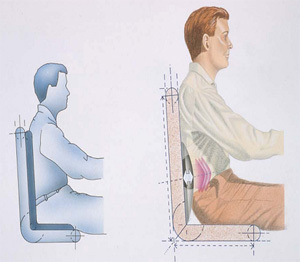 This repetitive, gentle pumping motion is unobtrusive to the driver or seated worker. 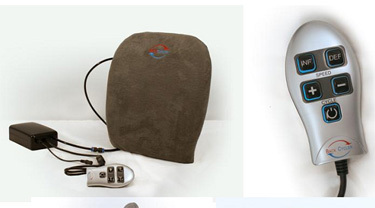 Therapeutic benefits derived by using the BackCycler are induced by continuous passive motion(CPM). In other words, motion makes the difference. Use of the Back Cycler helps lift pressure off sensitive nerve roots. SELF CARE FOR THE FOLLOWING CONDITIONS: lumbago, herniated or chronic disks, fatigue while driving, lower back pain, back strain, sciatica, and hip complaints.